When Helen Batt went to view her recently purchased £389,995 Bovis-built home in Maidstone, Kent, for the first time before Christmas, she was expecting to see a spanking new four-bedroom house. Instead, the property in the Orchard Fields development was barely finished and littered with rubbish – two days before the scheduled completion date of 20 December. “It was a complete shock,” says Batt, a 32-year-old partner in law firm Buss Murton. The National House Building Council, the standard-setting body and main home construction warranty provider for new-builds in the UK, signed the house off shortly after. But Batt claims that it wasn’t fit for habitation. She is just one of a number of homebuyers angry with Bovis, with some listing as many as 200 “snagging” problems after moving in. In Batt’s case, the carpet was laid on 23 December, the day she finally completed. She alleges Bovis was effectively in breach of contract because the house was not habitable until then. To compensate her for extra costs on her mortgage and delayed removal vans, she received a cheque of £450 in the new year – later than promised and, she says, only after a lot of chasing. When the power was suddenly cut off, she discovered that the property had not been connected to the mains and was still run on the generator at the Bovis estate. Batt says she still has the wrong kitchen and utility units a month after completion. “The remainder of the issues fall under ‘snagging items’. A buyer is not permitted to delay completion for these items or they will be in breach of contract. Therefore, I had to complete on an unfinished, albeit liveable – just – dwelling,” she says. Her “snagging” list runs to 198 items. A Facebook group called Bovis Homes Victim Group has grown to more than 1,000 members. Common complaints among them are a lack of sound insulation, the wrong kitchen units, dented doors and rushed plaster and paint jobs. The company says it is taking the complaints seriously. It launched a review in November to investigate problems faced by “a small number who had waited extended periods for remedial works to be carried out, or where our customer services had not been to the standard we would want”. A team has been set up to resolve the issues, led by Michael Black, group production and quality control director. The firm blamed operational issues when it admitted that it would complete about 180 fewer homes than expected in 2016. One of its top shareholders, Schroders, is reportedly pushing for a £5bn merger with its bigger housebuilding rival, the Berkeley Group. Bovis Homes says its “leadership remains committed to rectifying these issues to ensure customers receive the quality homes and service they expect, and we apologise where this has not been the case”. Additionally, it adds, it is “actively reviewing operational processes to identify the required changes to ensure we consistently deliver a high standard of home and service in the future”. It had previously said that a “limited number of customers were offered an incentive to complete before the year end, and all homes were habitable with the requisite Council of Mortgage Lenders industry certification, with a timetable for outstanding works to be carried out in the new year.” The firm stressed that no one was forced to move in before Christmas and the homes only needed a few finishing touches. It also claimed that offering incentives to complete by a certain date was standard industry practice. One set of buyers given an incentive to move in early were Rob Elmes and his wife, who were purchasing a £320,000 three-bed property in Inkberrow, Worcestershire. They turned down £3,000 to complete by 23 December because, they say, the property was riddled with problems. The couple are seeking compensation equivalent to 10% of the purchase price, citing the length of time it has taken to rectify the problems, the stress caused – he says he has suffered insomnia and anxiety attacks – the time taken off work and extra costs such as storage. He added that if they had completed before Christmas they would have been liable for mortgage payments despite the house not being ready to live in. Marc Holden, a 33-year-old army veteran turned IT consultant, claims his £490,000 house in Milton Keynes had major defects, including the gas supply installation. He is helping organise a protest outside the company’s annual meeting in May and is expecting at least 100 disgruntled homeowners to turn up. In the meantime Bovis insists it is working with Batt, Elmes and Holden to “resolve any identified issues”. 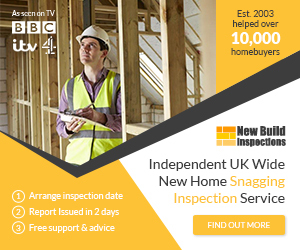 The NHBC says it carries out spot checks at key stages of the build process, which significantly reduce the number of defects “and, importantly, allows us to offer our 10-year Buildmark warranty and insurance cover”. Show homes can be misleading, as can plans and brochures – so ask for detailed information. Always carry out a pre-move inspection so you can get the builder to fix anything that may be amiss. Get a detailed “snagging” survey done between the end of building work and legal completion. Some defects may not appear until after you move in. Record them all and report them straight away. Check the builder is signed up to the Consumer Code. If, after two years, you find something major is wrong, claim under the 10-year warranty. New homebuyers get a 10-year protection, split between a builder’s guarantee for the first two years (whereby they are responsible for fixing all defects in the home), followed by a warranty issued by NHBC, Premier Guarantee or LABC Warranty for the next eight years. The voluntary, industry-led consumer code for homebuilders was introduced in April 2010 and sets out strict guidelines. Complaints need to be made within two years after legal completion, and disputes are referred to an independent resolution service. The maximum payout is £15,000. Until the consumer code was introduced, a homebuyer who felt that they had a claim against their builder would have had to go to court if the matter was not covered by their home warranty scheme. After two years has elapsed, buyers should go directly to NHBC, Premier Guarantee or LABC Warranty to pursue their claim. If they are not satisfied with the outcome, they take their claim to the financial ombudsman service. There have been calls for a new home ombudsman.